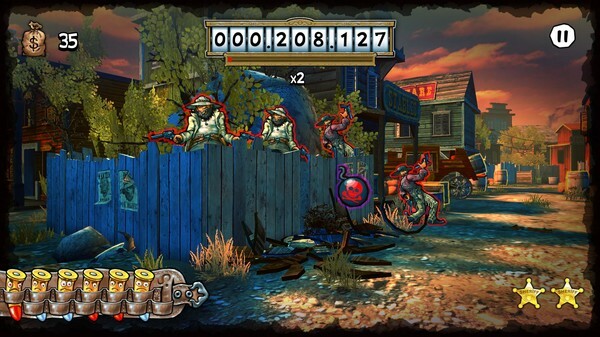 Mad Bullets, the wackiest shooter is here to put your reflexes and laughing muscles to an intensive test. You can forget about boring stories, complicated controls and irritating tutorials, and jump right into a mind blowing, high-speed action. 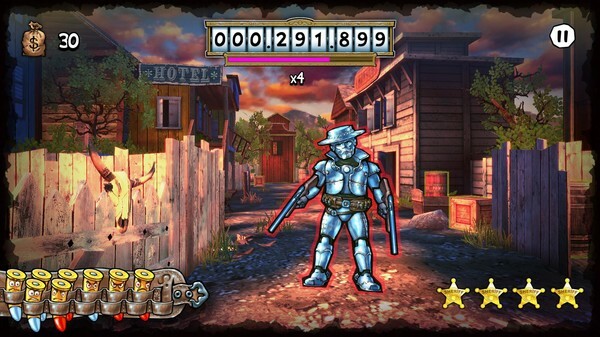 Now is the time to become the hero of the Wild West and shoot your way up to the top of the leaderboards! Do you think you have what it takes to face a real challenge? An impeccable cast for a game that doesn´t take itself even a bit seriously! 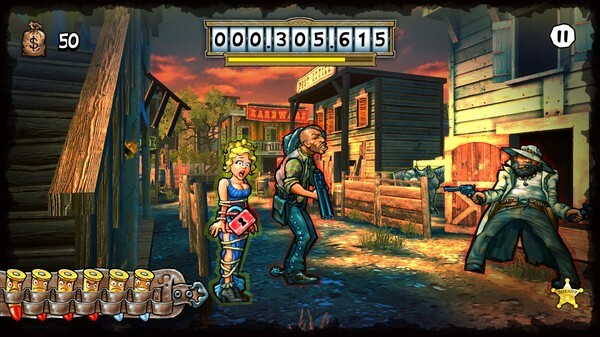 The EASIEST shooter controls on any platform, ever! The CRAZIEST characters since... well, that´s classified! 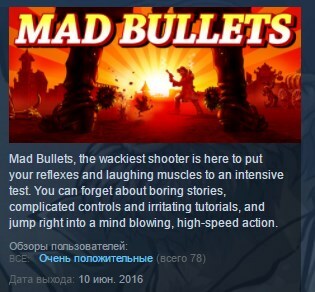 The MADDEST bullets in gaming history! Oh, I forgot to mention that there are 3 locations, 50 levels, 4 minigames, about 200 missions, 31 achievements, upgradable equipment, trendy dubstep music, fully destroyable environmental objects, all mixed in a frantic endless shooter. Presented to you! Say YES to Mad Bullets!